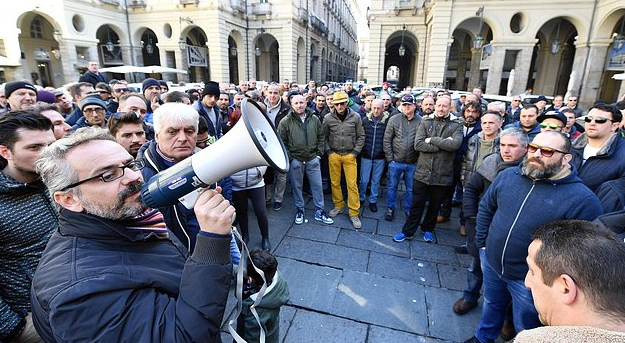 The trucking transportation industry in Italy has called for a general strike which will take place today October 30th and tomorrow October 31st. This strike is expected to have an impact on the services connected to the import and export of the merchandise. The strikes mentioned above have been confirmed by main associations (Unions) representing the workers in the logistics, freight road transportation and shipping industry (due to current negotiation for renewal of national work contracts for these categories). In addition, below find other dates that have been scheduled in the near future for additional strikes for air and rail as well. Planes, trains, maritime and local transportation personnel will be on strike! Planes for the whole day on November 10th. Trains for 24 hours starting from 21:00 on November 9th. Local transportation with different starting times depending on the specific location (no further details are available). Ferries for 24 hours on November 10th. Please check with your ticket office whether this will affect your journey. Some airport personnel in Milan Airports will be on strike for 24 hours, from 00:01 to 23:59. Please check with your ticket office whether this will affect your flight. Some Alitalia personnel will be on strike for 24 hours, from 00:01 to 23:59. Please check with your ticket office whether this will affect your flight. Disclaimer: we’ll do our best to present you with current and accurate information, however you must know that strikes can be cancelled or shifted without notice and at any moment. The information above is provided on an as is basis, and your use of this information is at your own risk. We cannot assume any kind of liability for any damage, loss, injury or inconvenience sustained by any person resulting from any information published on this page or from any kind of changes, such as scheduled times, cancellations etc., mentioned or not on this page. We encourage you to verify any strike information that might interfere with your travel plans with your ticket office or with your carrier.